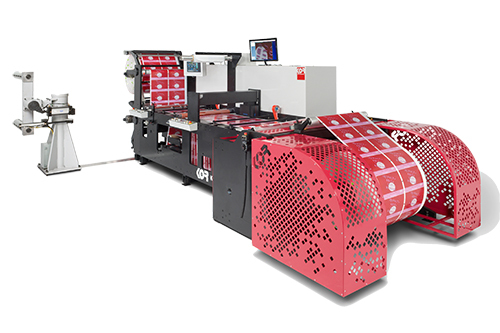 Large roll handling capacity, precise tension control and high speed defect placement at the editing table allow one operator to Inspect, Edit, Slit and Rewind, a variety of flexible packaging substrates, in on efficient step. in addition, the shaftless unwind, horizontal viewing and editing station, combined with the automated roll pusher and unloader, make the F series rewinder a productive addition to any finishing department. Razor Slitter cartridge, and/ or Rotary shear cartridge. Upgrade to Rotary Shear slitting cartridge with Class 1(90mm diameter) or Class 11 (150mm diameter) knives and driven anvil.